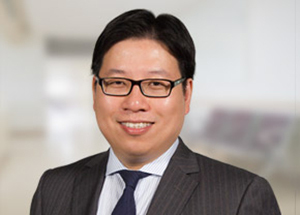 Dr Season Yeung is a consultant ophthalmologist and ophthalmic surgeon in Sydney. Dr Yeung graduated in medicine and surgery from the University of Western Australia. Moreover, he was awarded with a Master degree in corneal immunology at the same institution. 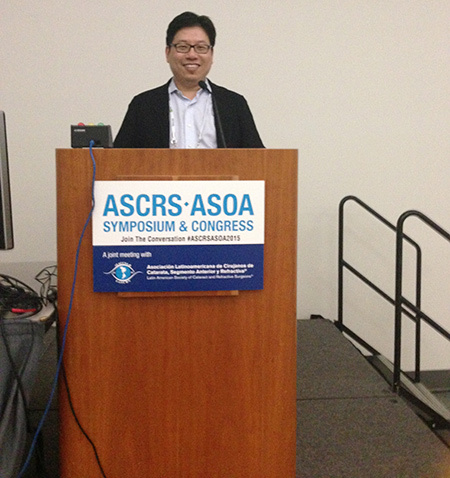 After completing his ophthalmology training under the Royal Australian and New Zealand College of Ophthalmologists (RANZCO), Dr Yeung undertook a cornea, external diseases, anterior segment and refractive surgery fellowship at the University of Ottawa Eye Institute in Canada, where he had the privilege of collaborating with many world-renowned ophthalmologists in North America. Yan P, Kapasi M, Conlon R, Teichman J, Yeung S, Yang Y, Ziai, S, Baig K. Patient comfort and visual outcomes of miniscleral contact lenses. Canadian Journal of Ophthalmology 2017; 52(1):69-73. Ghaddar H, Teja S, Conlon R, Teichman J, Yeung S, Baig K. Ocular surface reconstruction with human amniotic membrane-symblepharon ring complex. Canadian Journal of Ophthalmology 2016; 51(4):129-131. Menant-Tay L, Conlon R, Teja S, Yeung S, Teichman J, Ziai S, Baig K. Dual-purpose donor corneal tissue for both deep anterior lamellar keratoplasty and Descement’s membrane endothelial keratoplasty. * Canadian Journal of Ophthalmology* 2016; 51(6):408-411. Boucher S, Conlon R, Teja S, Teichman J, Yeung S, Ziai S, Baig K. Fibrin glue versus autologous blood for conjunctival autograft fixation in pterygium surgery. *Canadian Journal of Ophthalmology *2015; 50(4):269-272. McMenamin PG, Yeung S, Camelo S. Distribution of antigen-presenting cells in the eye. *Antigen-Presenting Cells and the Eye *2007; Informa Healthcare USA, Inc:45-70. Chinnery H, Kezic J, Yeung S, McMenamin PG. Band-like opacity in the corneas of abattoir-acquired pig eyes. Clinical & Experimental Ophthalmology 2005;33:668. Dr Yeung is fluent in English, Cantonese and Mandarin.